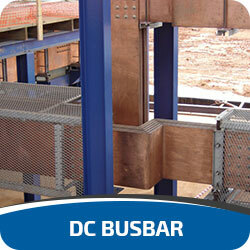 BUSBAR SERVICES is one of Africa’s leading manufacturers of Busbar distribution systems. With one of the most comprehensive ranges, we offer solutions from 25A lighting Busbar through to 6,300A LV and 24kV MV Busbar systems, including rising mains. 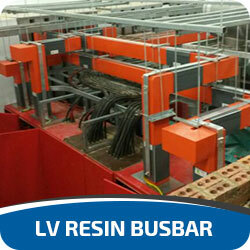 Our range of Busbar systems is divided into Low Voltage and Medium Voltage systems that is made up of Lighting, Sandwich, Cast Resin, IPB, SPB, NSPB. 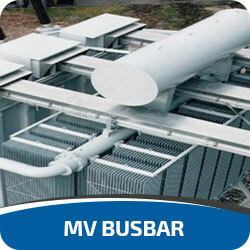 BUSBAR SERVICES also designs, manufactures and installs DC electro-winning Busbar for the mining industry, we also produce cell shorting frames, cell top Busbar, supports and flexible’s. 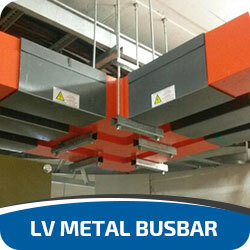 BUSBAR SERVICES range of Busbar Trunking systems offers a simple and cost effective alternative to traditional cabling when installing power distribution systems in both commercial and industrial environments. BUSBAR is an alternative to traditional cabling and provides numerous advantages to the installer and client including savings on space, time and cost. There are also electrical savings due to reduced losses, reduced voltage drop and flexibility to reposition load center’s using tap-off points. Our highly skilled team are experts at providing the client with exactly what they require and are experienced in producing bespoke parts to meet the client’s unique demands. From concept to commissioning we provide complete in-house engineering.